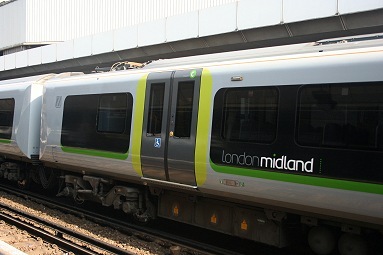 To facilitate the temporary cascade of units to provide sufficient stock for the implementation of the new Thameslink Timetable from 22nd March ("Key Output Zero") Class 350 Desiro units - with drivers - started working 's East Croydon to Milton Keynes service on 16th March. This is to permit transfer of eight Class 377/2 units, four of which are usually required for this working, from to in time for 22nd March. On the first day, 16th March, 350112 was the spare. 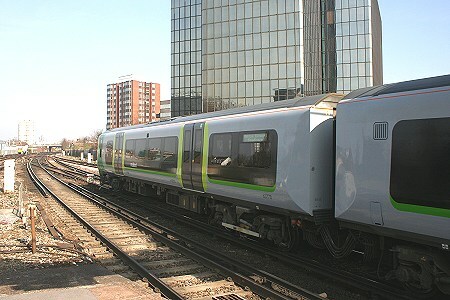 On Wednesday 18th March, at East Croydon 350118 was the 11:57 arrival from and 12:10 departure to Milton Keynes. The unit is seen approaching platform 5. 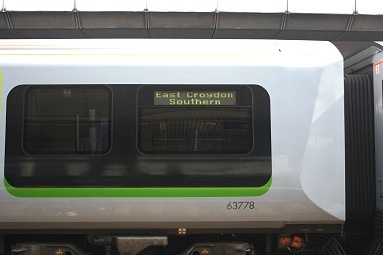 The passenger information displays clarify it is a Southern service. 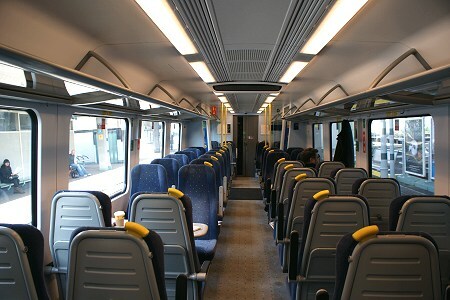 These units have Southern maps fixed on the right hand side of the end of each coach and the PIS shows and announces the correct stopping points and destination. The matrix displays on the cab fronts show Milton Keynes or East Croydon as appropriate. 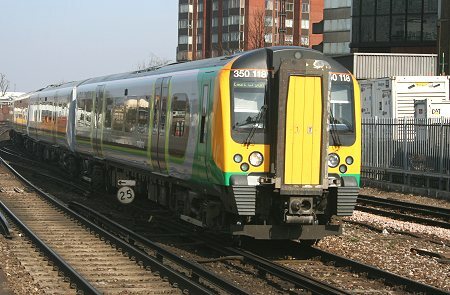 (left) the 12:10 departure from East Croydon to Milton Keynes on 18th March, worked by 350118.